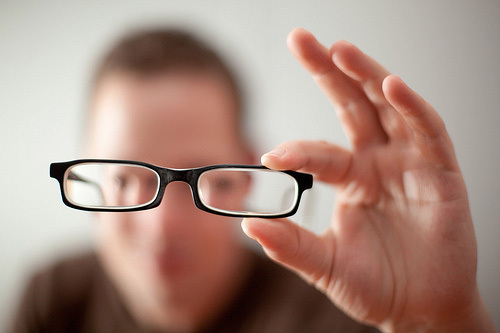 Often times you suffer from being nearsighted, therefore you can only see what is in front of you while everything further away is foggy and unclear. Since you cannot see too far in the distance, you tend to concentrate on what is only directly in front of you. The danger here is that you are not embracing all of reality but only a very small portion of it. In this life, it is easy to be overwhelmed by sufferings, trials, disappointments, fears, and a million other things that stand directly in front of you. Our faith reminds us there is a greater part of reality we are not seeing. There is a greater part of reality that we often ignore. It is the reality of heaven! This world, with all of its struggles and disappointments, does not contain the complete picture of your life. The Catechism says that “heaven is the ultimate end and fulfillment of the deepest human longings, the state of supreme, definitive happiness” (Catechism of the Catholic Church, 1024). Without this eternal perspective, you will be overwhelmed by this life and all its drama. Happiness, peace, joy, and fulfillment are not simply part of a fairy tale. You can experience them in pieces in this life, yet in heaven they will be yours in abundance. Keep heaven before you always, and remember that by doing so you are not neglecting anything, but in fact you are embracing the fullness of reality.